Australian koalas are in danger due to dehydration, loss of habitat and disease, much of which is being attributed to climate change. The Australian Koala Foundation estimates that there are less than 100,000 koalas left in the wild, possibly as few as 43,000. The next 20-30 years look bleak for the iconic marsupial due to a lack of food and water. Climate change is expected to lead to the death of thousands of koalas and magnify the impact of other threats. The International Union for Conservation of Nature and Natural Resources, an endangered species monitoring agency, expects a population decrease of as much as 29 percent over three generations–roughly 24 years. If we were talking about humans the equivalent population loss would mean a 75-year-old man would see a world population decrease of more than two billion people over his lifetime. Living primarily in Eastern Australia, where eucalyptus trees are plentiful, koalas typically spend 18 hours a day sleeping and resting in these fragrant hardwoods. Now facing reduced water stores, koalas have begun to climb down and drink from artificial water stations provided by University of Sydney researchers. The koalas of Gunnedah, a town in southeastern Australia often referred to as the “Koala Capital of the World,” come down from their trees both day and night to drink from the stations for more than 10 minutes at a time. Koalas can eat up to two and a half pounds of leaves per day, which historically have provided koalas all of their hydration needs. 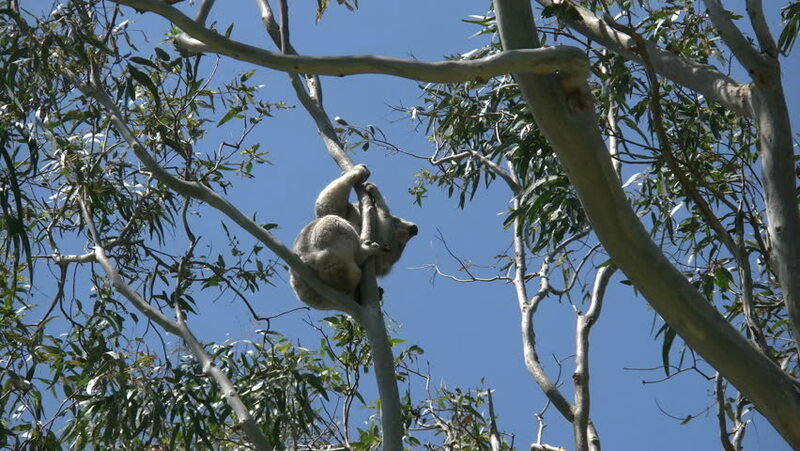 But the leaves are drying out, and researchers attribute the koalas’ newfound thirst to these dry conditions. A National Geographic report highlights prior research suggesting that koalas reject leaves with water contents less than 55 to 65 percent. In addition to reduced water content, in dry conditions, the eucalyptus trees grow smaller leaves and decrease the amount of photosynthesis. This means one tree can feed fewer koalas.